Shaky Head: We designed our new shaky head to be a able to easily come thru heavy cover, where other shaky heads have struggled. Most shaky heads use a horizontal line tie and football shaped head, which tends not to come thru cover very well. We incorporated a 6/O Gamakatsu EWG style hook with a vertical line tie and a bullet shaped head, which makes this shaky head perfect for coming thru heavy cover. We also used an improved spring for attaching your soft plastic to the head. 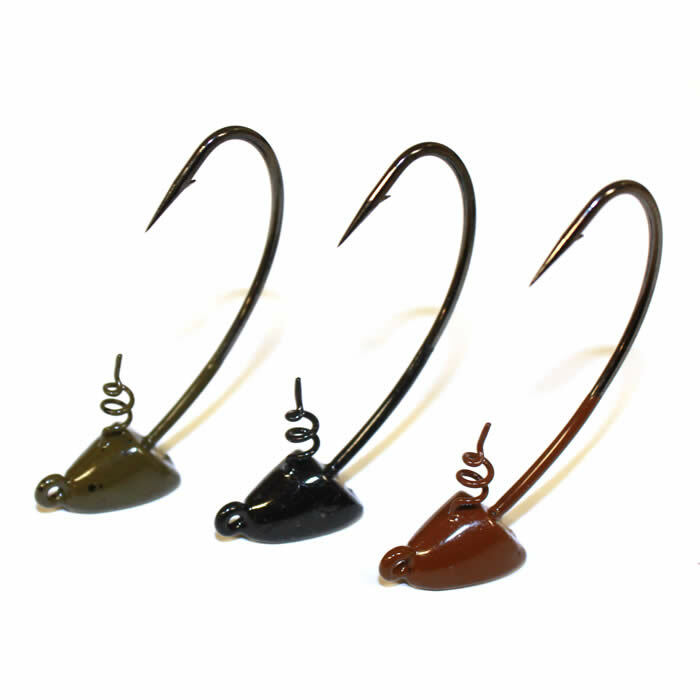 This spring uses a centering pin, making it easier to center your soft plastic on the head.